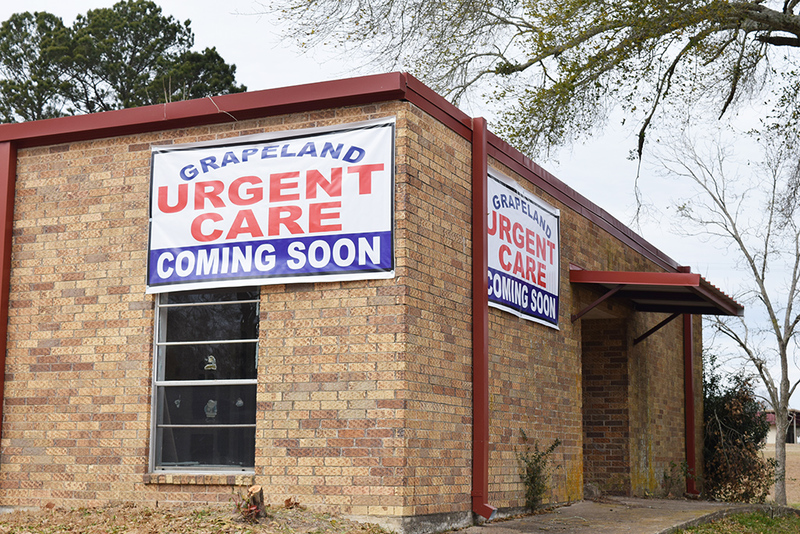 Grapeland Urgent Care is set to open in March in the old Grapeland Nursing Home building. Photo by Will Johnson/ Messenger. GRAPELAND – The final public hearing in regard to the $350,000 Community Block Development Grant received by the City of Grapeland for repairs to the former Grapeland Nursing Center, located at 205 Church St., was held Tuesday, Jan. 9 during the Grapeland City Council’s regularly scheduled monthly meeting. “(The grant is) under the disaster relief fund under the CBDG program, and those funds come from the Texas Department of Agriculture, which in turn, come from HUD (U.S. Department of Housing and Urban Development),” explained grant administrator Kelli Odom of Grantworks, Inc.
Odom explained that the building was restored to the condition it was in prior to being damaged in a rainstorm in May 2016. A total of 16,000 square feet of roofing material and related equipment was replaced, along with 500 square feet of metal decking and eight dehumidifiers. Mayor Balis Dailey reminded the council of the urgent care center which will be opening in the old nursing facility March 1, with a grand opening set for March 24. According to Dailey, Grapeland Urgent Care Center will be managed by Champions Urgent Care of Houston. “They can take all kinds of insurance, Medicare and Medicaid,” he said. “They’re going to be able to do – according to them – about 90 percent of the patient care that you would basically need. They’ll be able to take X-rays, do blood tests and drug tests. As Dailey pointed out, only a portion of the building’s east wing will be used to house the urgent care facility. Dailey expressed a desire to see entities such as eye care and dental care providers brought into the building in the future. “This is something for all of our community,” Dailey said of the urgent care facility.